Caroline is a Winston-Salem native who joined the team at Sheets Smith Wealth Management in the fall of 2017. As a Wealth Manager, Caroline works directly with clients and families to provide asset management and financial planning solutions. Caroline began her career in Investment Management in 2012 in Raleigh as an Associate Portfolio Manager at Triangle Securities Wealth Management. Within this role, Caroline constructed, implemented, and monitored customized portfolios aligned with each client’s investment goals in mind. She also provided the Portfolio Management Group with internal and external reports and research to improve decision-making and expose trends. 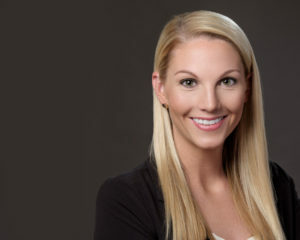 In the spring of 2014, Caroline relocated to Charleston, SC, to join JBJ INVEST, a fee-only investment manager specializing in wealth planning for doctors and dentists. In her role as an Investment Advisor, Caroline assisted clients in portfolio management, retirement planning, and comprehensive financial planning. Caroline holds a Bachelor’s degree in Business (Finance) from North Carolina State University and a Master of Business Administration with a concentration in Financial Management from East Carolina University. In her free time, Caroline enjoys reading, traveling, and spending time with her husband, Kevin, and their dog, Riley.